Crispus Attucks has always been thought to be the leader and main instigator of the Boston Massacre, but debate continues regarding his involvement and his portrayal in the history books. There were many African Americans in the Revolutionary War, and although some of them fought for the Colonists and others for the British, freedom was usually their motivation. Others joined the war to support the Colonists’ political desires, or to see the other parts of New England. Payments or “bounties” were sometimes made or promised when they joined. There were several African American Revolutionary War heroes that made major contributions on and off the battlefield. One of them was Crispus Attucks, whom many believe was the first casualty of the Boston Massacre. According to PBS project “Africans in America,” Attucks has always been thought to be the leader and main instigator of the massacre. However, debate has never ceased regarding Attucks’ involvement, and whether his actions qualify him as a patriot or a trouble-maker. TeachingHistory.org goes on to suggest that Attucks was likely born a slave, and that his status in society may have influenced his identification as an African-American. 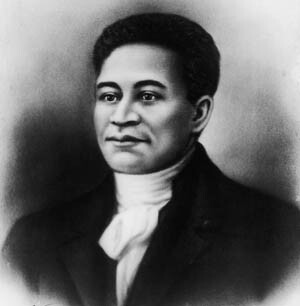 It is believed that Attucks was an African and his mother was a Nantucket Indian. Prior to the Boston Massacure, Attucks worked as a seaman and dockworker. PBS has suggested that as a seaman, he was constantly aware of the increased danger of impressment into the British navy. There was also a lot of competition from British troops for dockworking, as they often took part-time work for extra wages. It was on Monday, March 5, 1770, when a British soldier entered a local pub looking for work, that a group of angry seamen—including Attucks—met him at the door. Later, during the event we refer to as the Boston Massacre, Attucks was one of the five men killed when they opened fire on the citizenry. A “Crispus Attucks Day” was established in the late 1800s, and despite the Massachusetts Historical Society and New England Historic Genealogical Society’s adament protests, a monument for Attucks was erected on the Boston Common in 1888. Tags Africa, african american revolutionary war heroes, African-American, American, American Revolution, american revolutionary war heroes, Attu, battlefield, Boston Massacre, British, Crispus Attucks, EAM, England, india, navy, PBS, revolutionary war hero, revolutionary war heroes, the revolutionary war, Tory.